All the teams were a prepping, while the air was now cool. In hopes that their prizes soon would be there. Counting down hours till the big event. Our survivors in purple of a beautiful hue. As Don does his sound check, our audio does matter. To dance around silly, having their own little bash. 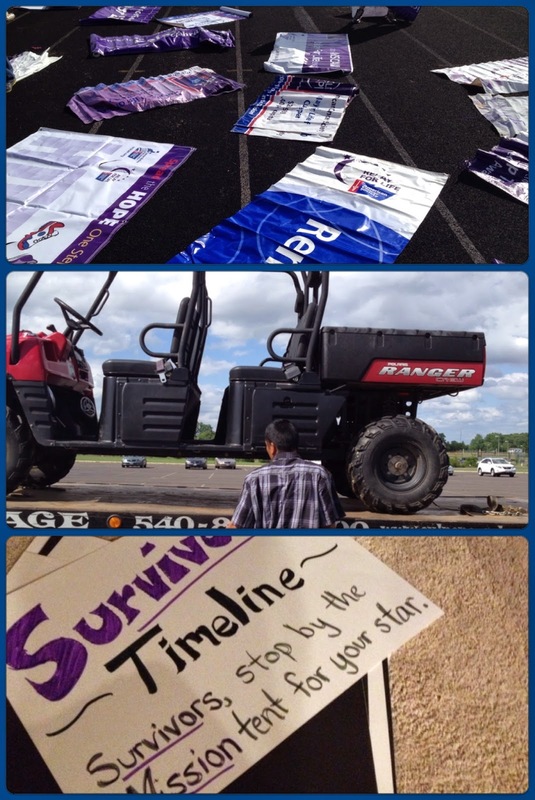 To be ready to for Relay for Life of Livermore, ACS is the best! For the American Cancer Society, and be joyful. We will make our goal, of that I am sure. By the end you won’t even notice your feet are sore. And the people that stay will much be admired. And all the people that help deserve an applause. I adored the 2-hour delay. Then, I spent 4-9 in beautiful weather prepping EV for the event. Moral of the Story: After the rains, came beauty...a promise that hasn't been broken.